The Terra C model road bike. 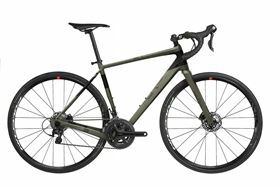 The Terra C is one of several bikes in the Orro range that feature Sigmatex carbon technology, the company says. The material can help make the bike more light weight and has improved impact resistance and damping properties. ‘sigmaIF is so versatile and we have been able to completely customise the fibres to improve the strength in critical areas to ward off rock strikes and other such impacts,’ said and Orro spokesperson. This story is reprinted from material from Sigmatex, with editorial changes made by Materials Today. The views expressed in this article do not necessarily represent those of Elsevier.